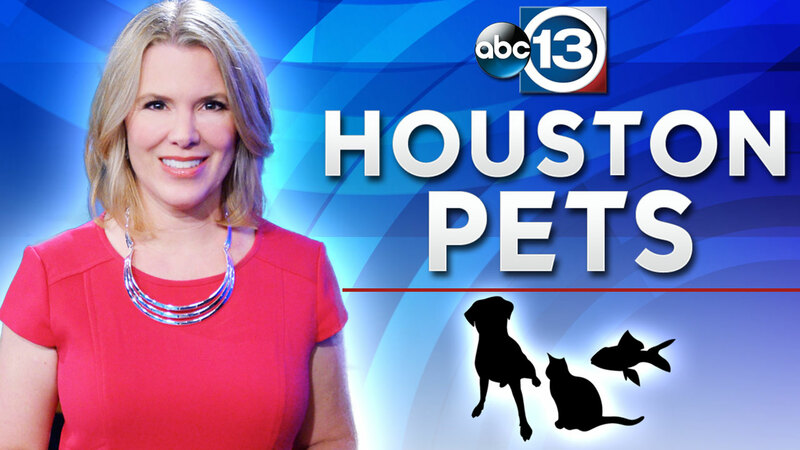 Tonight, you can help raise money for Pup Squad Rescue. Pup Squad is hosting a fundraiser at the Alliance de Francaise at 427 Lovett in Houston from 6:30-9:30pm this evening to help support their ongoing rescue efforts in Houston. 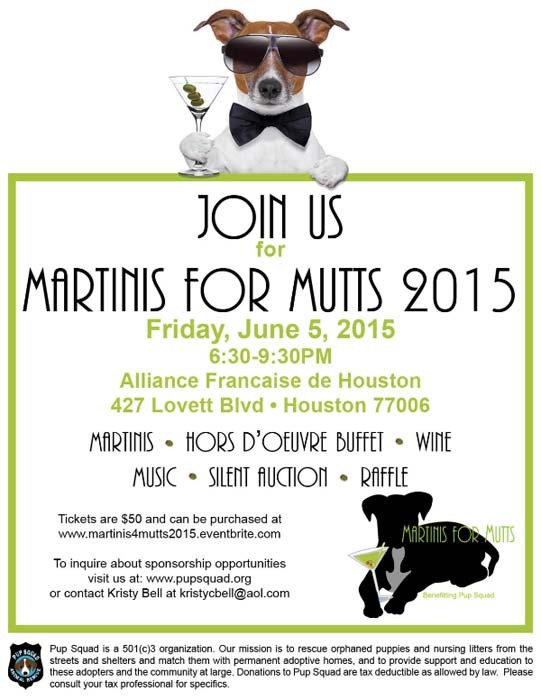 Enjoy martinis, hors d' oeurve buffett, wine, music, silent auction and raffle! And of course puppies will be there available for adoption. Tickets are $50 and can be purchased at this site. Pup Squad's mission is to rescue orphaned puppies and nursing litters from the streets, shelters, and other life-threatening situations and match them with permanent adoptive homes, and to provide support and education to these adopters and the community at large. Tomorrow, celebrate the grand opening of the new Emancipet healthy pet clinic in the East End. It's a free event for the entire family from 11am-2pm at 4410 Navigation Blvd in the Ripley House parking lot. There will be face painting, food trucks, balloon animals and other fun activities. For more information on the event, go to the website here. 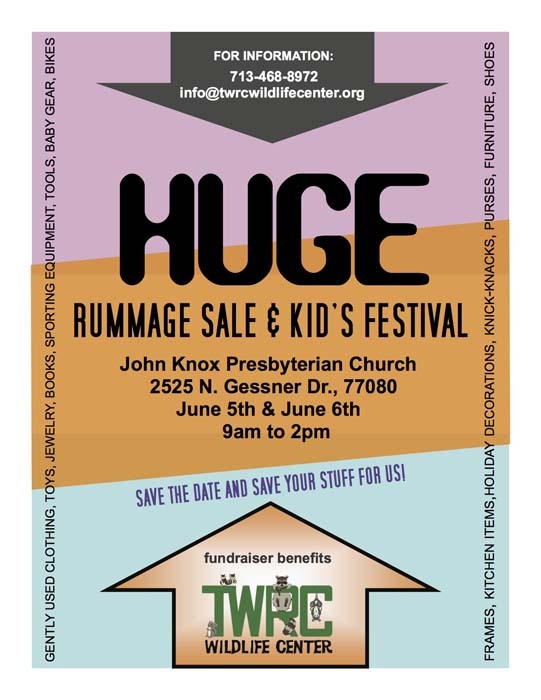 Also, tomorrow, the TWRC Rummage Sale and Kids Festival continues at John Knox Presbyterian Church. The event is from 11am-2pm. This is great fun for your kiddos that love animals. The TWRC animal ambassadors will be on hand, so kids can get up close and personal with some our neighborhood wildlife. And, bonus for this hot weekend: a lot of the shopping is indoors in the air conditioning. For more info go to the TWRC Facebook page by clicking or tapping here.